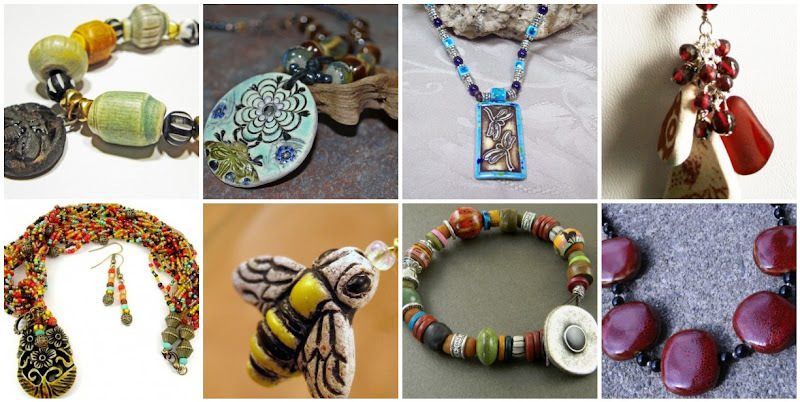 Like classic saltwater pearls, ceramic and porcelain beads can add a special old-world charm to jewelry designs. They come in a beautiful variety of shapes and styles, from textured pendants to hand painted tubes. 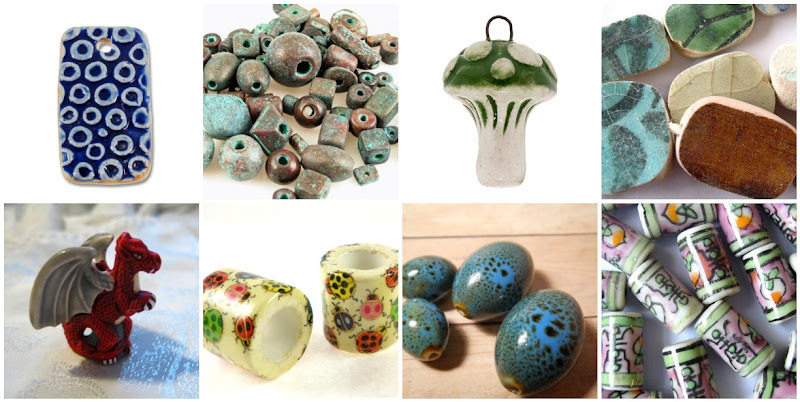 Some of the most amazing stoneware beads and focals are created by skilled artisans, and are treasured for their one of a kind nature. One of the most common materials used to make ceramics, pottery and porcelain is kaolin - a layered silicate mineral, also called white clay or china clay. The molded clay is hardened at extreme temperatures in a kiln, forming solid and beautiful pieces with delightfully earthy qualities. Glazes applied before the ceramic pieces are fired not only make them more durable, but add to their beauty as well. Did you know? Kaolin comes from large mines all over the world, and is also a common ingredient for making glossy paper, toothpaste, incandescent light bulbs, paint and can be used as a pest deterrent in organic farming. Do you like to use ceramics in your designs? What is your favorite style, shape or finish to work with? Great information and you've chosen some of my favorite pieces!! Thanks so much for including my necklace with the LadyBrookDesigns Ceramic pendant! 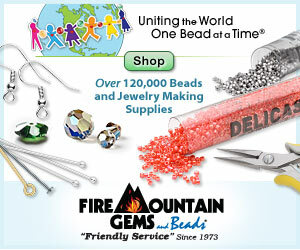 Thank-you so much for including my Greek Beads from my Artfre shop: "Textures". You have found many great items. I have yet to use ceramics in anything but those are some beauties and I will try it someday.